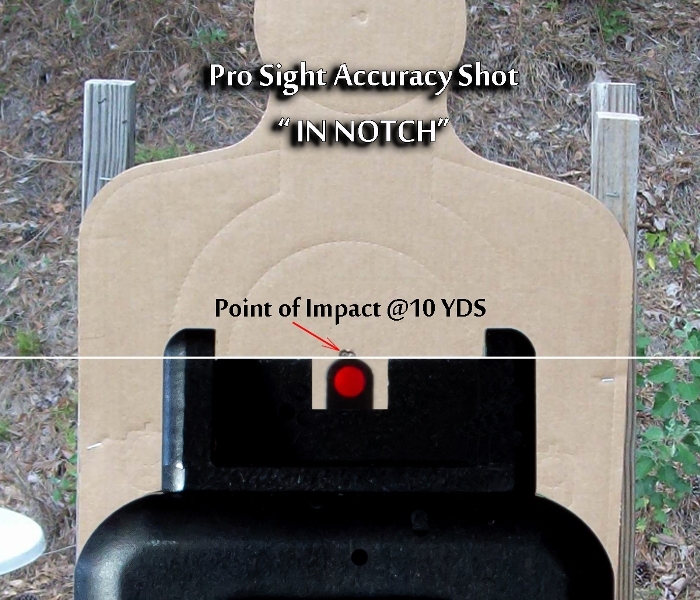 Shouldn't you have the PRO-SIGHT® Advantage? "QUICK CHANGE" REAR BLADES AUTOMATICALLY RE-ZERO EVERYTIME!! multi purpose 2 in 1 Rear sight designed for accuracy & speed!! Available for ALL Model Glocks except for G42/G43. Watch the New Model Pro-Sights Torture Test ! ! ! New Model Pro-Sights® are HERE! *Please Note: Front & Rear Sights are SOLD SEPARATELY, so that you can get the (combo) you like best. NEW MATERIALS: Front & Rear Sight bases are made from HEAT TREATED Aerospace 4140 Chrome Moly Steel. NEW FINISHES: All Metal surfaces have a Satin BLACK OXIDE FINISH. All Rear Blades are made from Rust Proof Delrin (Light Weight & Never Shows Holster Wear). * Quick Change Rear Sight Blades AUTOMATICALLY Re-Zero Every Time!!! DISCLAIMER: This product should be installed by a qualified Gunsmith using a MGW309S Sight Pusher. No liability is expressed or implied for damage or injury which may result from improper installation or use of this product. The New PRO-SIGHT® Installation Video is HERE! 5-7 Day Turn around Time on average!